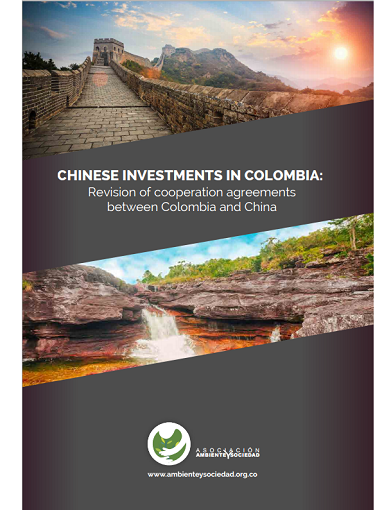 Colombia’s trade policy has for many years favored attracting foreign investment. This responds to a tendency which, among developing countries, began in the Eighties to open their markets. In Colombia this process began in the Nineties. The tendency made foreign investment a fundamental asset in these countries’ growth process, as it established the notion that foreign investment could be used to overcome existing breaches in relation to resources, the transfer of technology and growth potential (Tienhaara, 2009). The significant capital flow represented by direct foreign investment around the world not only impacts development processes and economic growth but it also generates new challenges in relation to environmental protections and the strengthening of sustainable development. Economic development has palpable effects on our environment. Climatic change, desertification and the loss of biodiversity are current and real phenomena, produced by human beings, which signify serious impacts on the guarantee of human rights. Our generation must respond. The World Summit on Sustainable Development—held in 2012 in Johannesburg, South Africa— placed major attention on the new dynamics confronted by the world with the mobilization of capital produced by direct foreign investment. In paragraph 14 of the Political Declaration that came from the summit, the participant States declared that the growing waves of investment flows in the world, a product of globalization, have added new challenges for our environment’s conservation, given that integrated markets, movement of capital and an increase in investment amounts present new challenges and opportunities for the strengthening of sustainable development (UN, 2002).